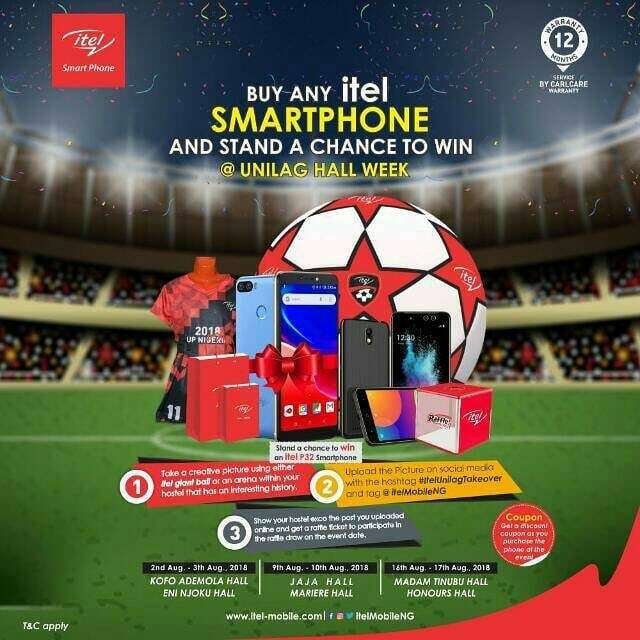 Participate in the itel Mobile UNILAG TAKEOVER campaign and stand a chance of winning a brand new smartphone and other Fantastic Prizes at UNILAG HALL WEEK. STEP 3: Show your hostel exco the post you uploaded online and get a raffle ticket to participate in the raffle draw on the event. And also buy any itel smartphone during the hall week, get an instant discount Coupon. Raffle draw comes up once in a week from 30th July to 17th August 2018.